2016: We upgraded Jonnie Gs to Joomla 3.6.2, refined the template and made the site even better to view on a cellphone. 2015: We updated the look of Jonnie Gs, and removed all flash videos, so it is easier to view on a mobile device. 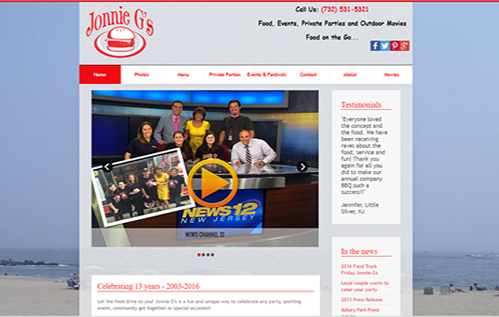 2013: We created a Joomla Website for Jonnie Gs, food on the go. This gave the owners the ability to edit the site easily, add new images, news artciles, and update menus.